In reality, though, some of us struggle this time of year. Since I lost my mom five years ago, I tend to feel sadness and loneliness more than I feel joy. Some of you may have lost spouses to death or divorce. You may have children who don’t spend time with you or demand too much of you, or parents who aren’t themselves (or are no longer there). Maybe your job requires you to work rather than worship, or you have so many past-due notices you could wrap presents with them—if you could afford to buy presents. 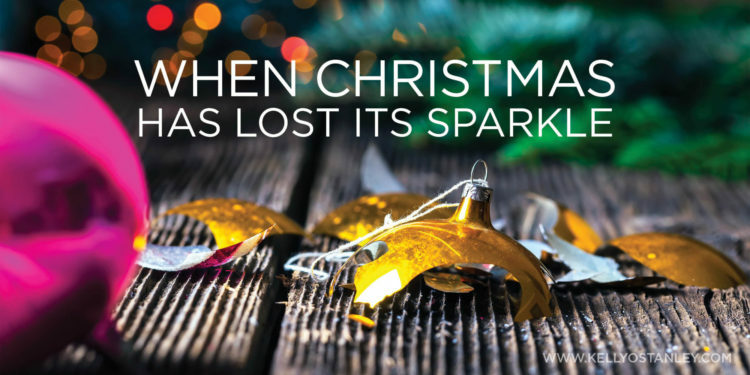 Perhaps you’re jaded, knowing that, as a believer, Christmas should be spiritually significant, but your emotions are crowded out by material excess and a to-do list a mile long.